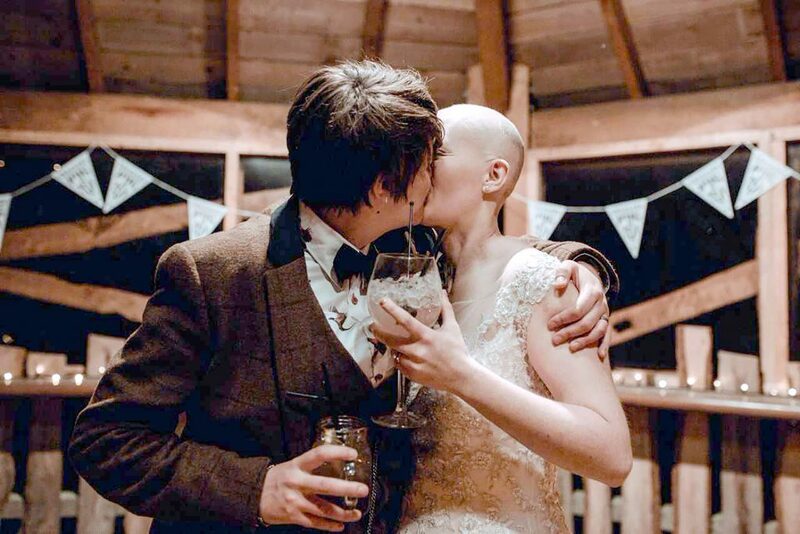 A stunning bride with alopecia left her guests in complete awe of her bravery after ditching her wig to celebrate her wedding day BALD. 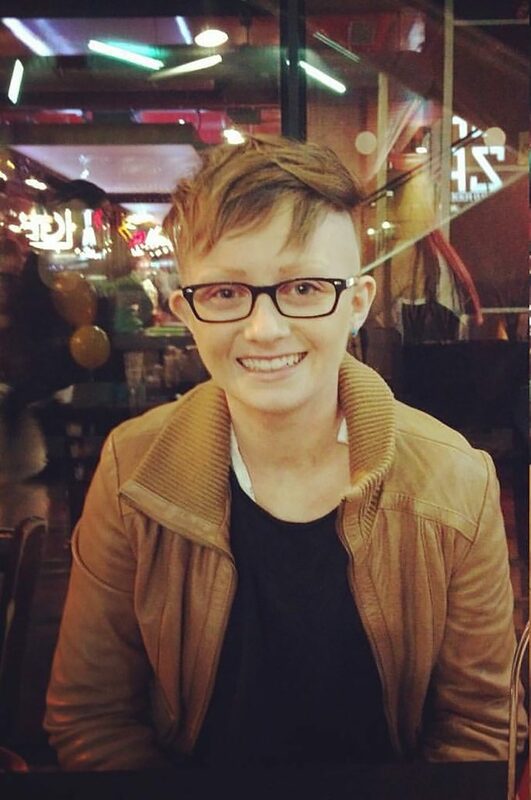 Emma Bain, 25, has struggled the hair loss condition for nine years, and has been completely bald, with only brief regrowth spells, since she was 19. The physiotherapist says she has worn specially made wigs to disguise her lack of hair since university. Despite slowly coming to terms with her hair loss, she still had concerns about facing her big day while bald – as the majority of the wedding party never having seen her without her wig. 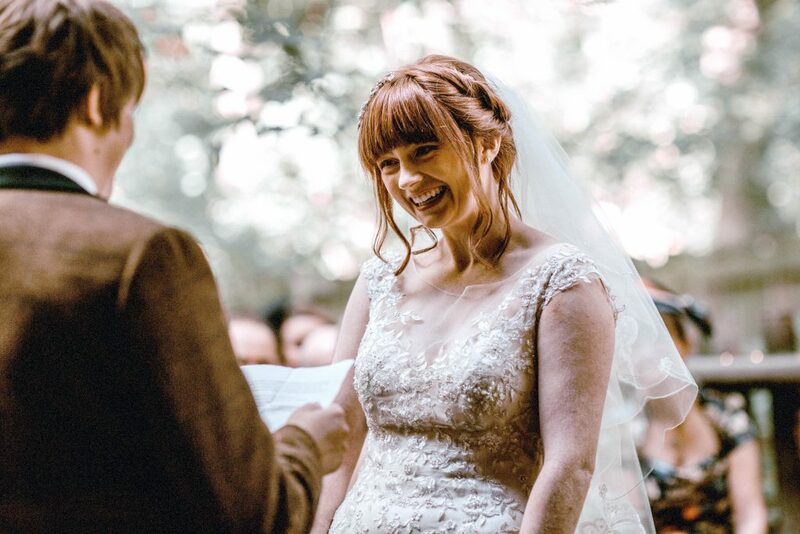 But after walking down the aisle on September 2 this year with her auburn hair, Emma then decided to discard her wig for some touching pictures with her bride, in an inspiring show of body confidence. 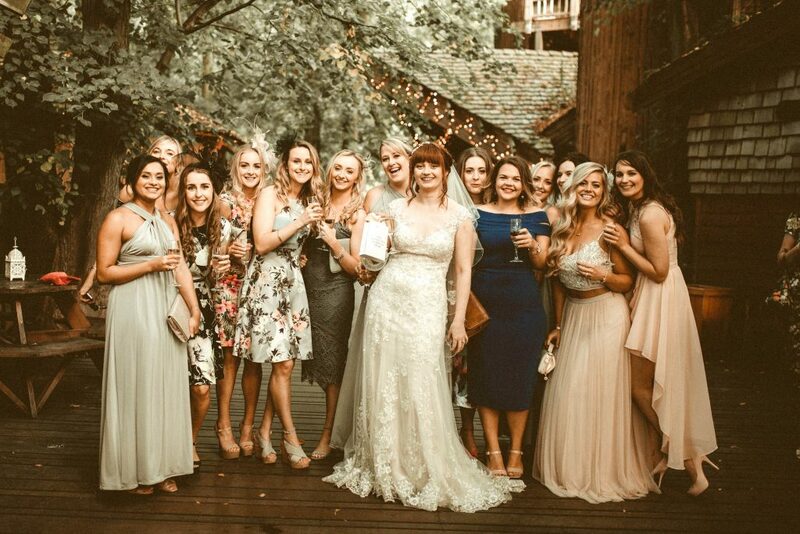 And from then on, she danced the night away with her wedding party – completely hairless – to show that people are beautiful with or without their locks. Emma, from Northumberland, said: “When I’d thought about getting married, I thought I would have my hair. I kept it for walking down the aisle. “But I had been thinking about the day without it. I wasn’t sure about when it was going to happen. “After the pictures with Stacey, I just thought it’d take it off, and it ended up staying off. It was off through the whole night. “In the pictures, you can see us being ourselves. “I think it’s a big step to take it off in front of people who hadn’t seen with without my hair before. You don’t really know what people are thinking. “But I don’t think people at the wedding said anything about it. Being surrounded by people who are there for you was a huge support. Emma says the wedding photographs symbolise just how far she has come since she lost all of her long hair as she was starting university, all within two weeks. However she has slowly come to terms with her alopecia with the support of partner of five years Stacey Bain, and Emma has become more confident, now rarely wearing the hair pieces. Emma said: “It started when I was 16, and I’ve been wearing wigs since when I was at university. “To begin with I wanted to wear them all the time. But now I very, very rarely wear them. I don’t wear them for work. “It just sort of happened. I had just started uni when it started falling out – I could cover it to begin with. “It all happened quite quickly over a couple of weeks. I would wake up and see it had come out. “It was a real shock, because my hair was really long as well. It’s only hair, but it is a big thing. 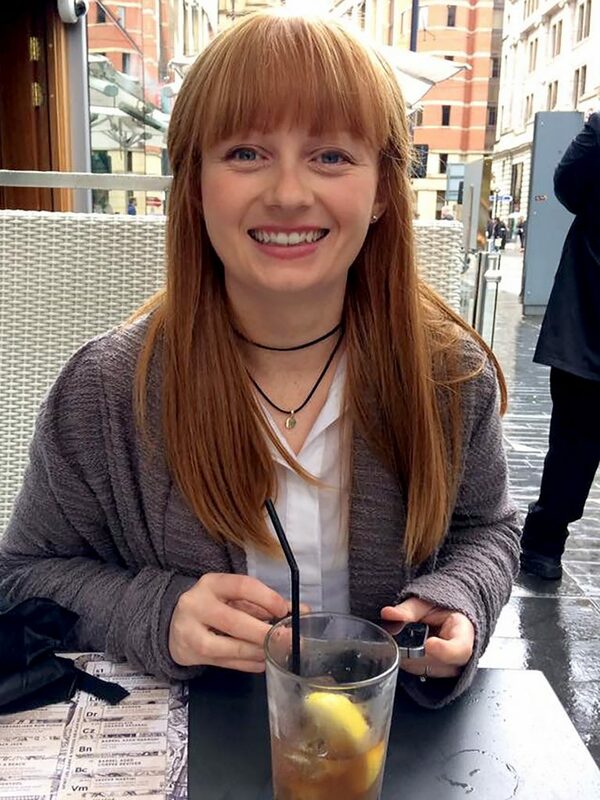 After years of learning to cope with the condition in her own way with Stacey’s support, Emma says she wants people with alopecia to embrace how they look without a wig. And she hopes that by sharing her wedding photographs she can show others that it is possible to still have confidence and be proud of their body. Emma said: “Some people think if you don’t have hair you aren’t beautiful – but you are. It’s just that perception of what’s ‘normal’. “When I go out you get looks and things, the odd person might ask why I haven’t got any hair, or say I look like a monk, or ask whether it’s because of a religion. I just brush it off now. “There are worse things. You’ve got to be yourself. Me with hair is not how I look anymore. “Stacey’s had a massive influence on me. We both have a sense of humour. That helps, not taking it too seriously. I went to a support group once when I was younger but I didn’t find it useful. “It seemed to be all about hiding it, and I’m not someone who thinks I should be embarrassed and hiding it. Over the moon to see her totally relax and be herself on their big day, Stacey, 30, says she couldn’t be prouder of her new wife. Stacey said: “I think she still has that tiny hope that her hair will grow back, so the pictures of her with her wig are there because of that as well. “I always think you shouldn’t force it, and she wasn’t ready to walk down the aisle without her hair. “She’d never been without her hair in front of most of the guests before – only close friends, and only some of my family had seen her without it. “I had said to her it would be nice if I could have a photo of us together with her without it, just for me. And she and claims humour is their key to helping her cope with the condition. Stacey said: “When we started seeing each other she was very down about her hair loss. You don’t know what to say when someone is going through that. “I don’t care if she has hair or not, she has this ability to make everybody happy.